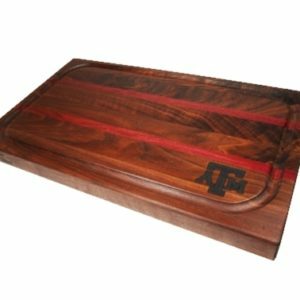 View cart “Texas A&M Professional Chef Walnut” has been added to your cart. 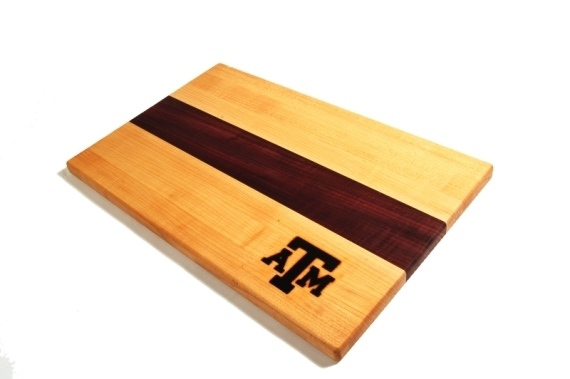 Beautiful side grain maple cutting board with maroon strip that is perfect for everyday use or as a gift for your favorite Aggie. The handle also doubles as a tray for catching and holding juices so they don't end up on the counter. This board is reversible and is designed to cut on either side. SKU: txammaroonstripe. Category: Texas A&M Branded. Maple has been the choice wood for cutting boards for over a century because of its durability and tight grain structure. 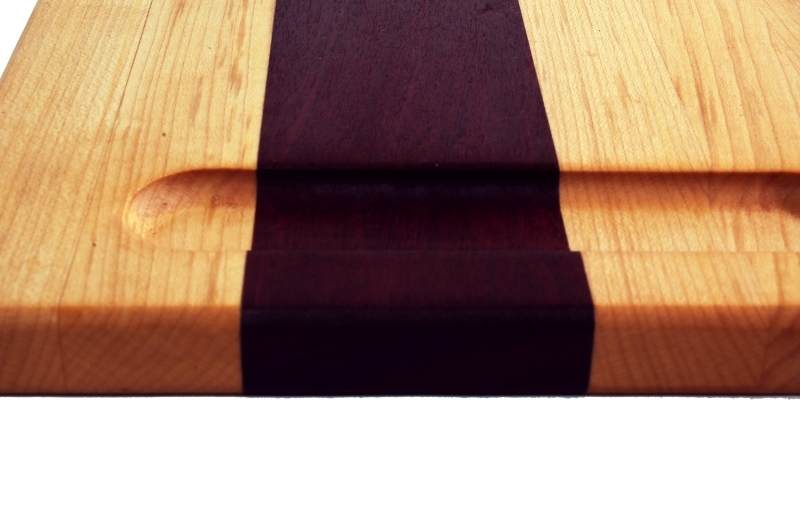 This board is made with natural woods and sealed with all natural and food grade oils and waxes. 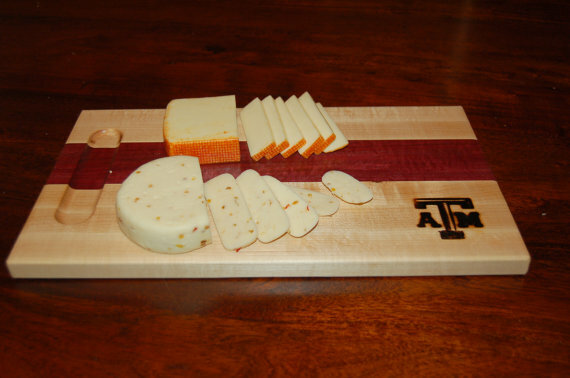 This Texas A&M cutting board is branded with the block TAMU logo for Aggie fans that want to show off their school in the kitchen or at the tailgate party. No stains or varnishes are ever used or applied to any of our products. The color you see is the natural beauty of the wood. 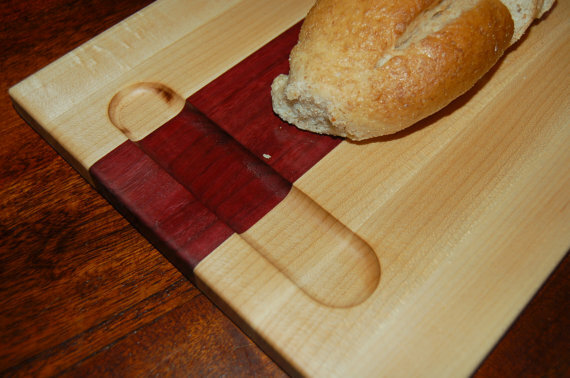 For more information on caring for wooden cutting boards please read the Care and Maintenance section on this site.